Sitting beside her, I was stunned as I watched her engage in a number of flirty, romantic encounters and left promptly when things started to turn sexual. I got it, though. 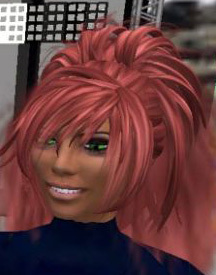 I finally understood why all her time and a good deal of her money went into Second Life. So I asked a few questions from time to time and soon realized that this can be viewed as completely normal behavior for those who are totally into virtual reality and have pretty much lost interest in regular reality. Virtual reality avatars are created to be the person you really want to be, and you get to be thinner, sexier, and funnier online than in real life. This also means that people are hooking up all over the internet as they live their ‘second’ lives, and if your partner is in love with a virtual reality avatar, you are now in direct competition with the “perfectly created” individual. Have you ever seen a teenager or a young person in their twenties discover their first love? There’s giggling and blushing and even a consistent need to talk about the person until everyone throws up their hands and gives up on changing the subject. Oddly enough, many partners who are cheating via virtual reality don’t even recognize it as cheating yet they are literally in love with a cartoon character or ‘avatar’. They blush and giggle and talk about the avatar as though it were their lifeline and soulmate! Virtual reality is an interesting and quite frankly ingenious business concept. People spend more time in the second life than their first life because they get to do it the way they wish they had. It’s a fantasy world. The few that actually go so far as to meet their love interest usually realize that this person wasn’t worth the sacrifice of a happy partnership because the individual is not real. It’s true that the concept is lost on a partner who is totally smitten by an avatar. However, cybersex is still a sexual act with someone else, even if they are using different names and have only the image of a fantasy in their mind. Whether or not your partner is in love with a virtual reality avatar, an excessive amount of time outside of reality leads to unhealthy decisions and difficulty adjusting to the consequences. Regardless, many partners can be brought back into reality with intervention, discussion, and in some cases professional help. Only you can decide whether or not you can continue with a partner who strayed in this manner. While there is a blur between reality and fantasy, a partner who engages in a virtual marriage, relationship, sexual conduct, or fantasy romance has been absent in his or her relationship with you. 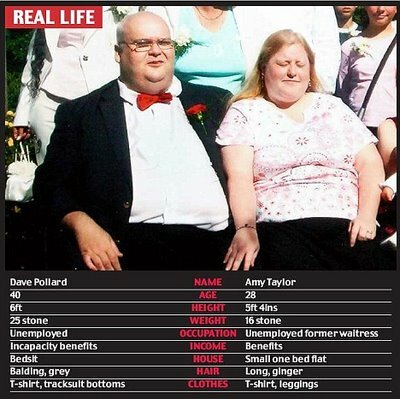 Want to see a ‘real life’ versus ‘second life’ example? Hold on to your ‘cyber’ hat! 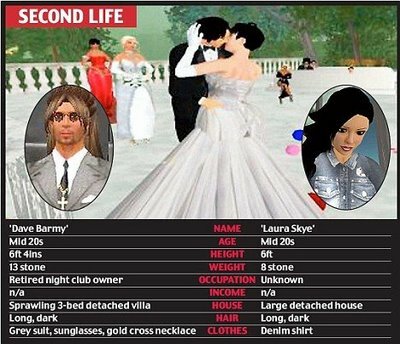 The above couple not only got married in Second Life but the guy even cheated on his ‘wife’ with yet another avatar. The other ‘woman’? That’s her at the top of this article. It would be funny if it wasn’t so pathetic!